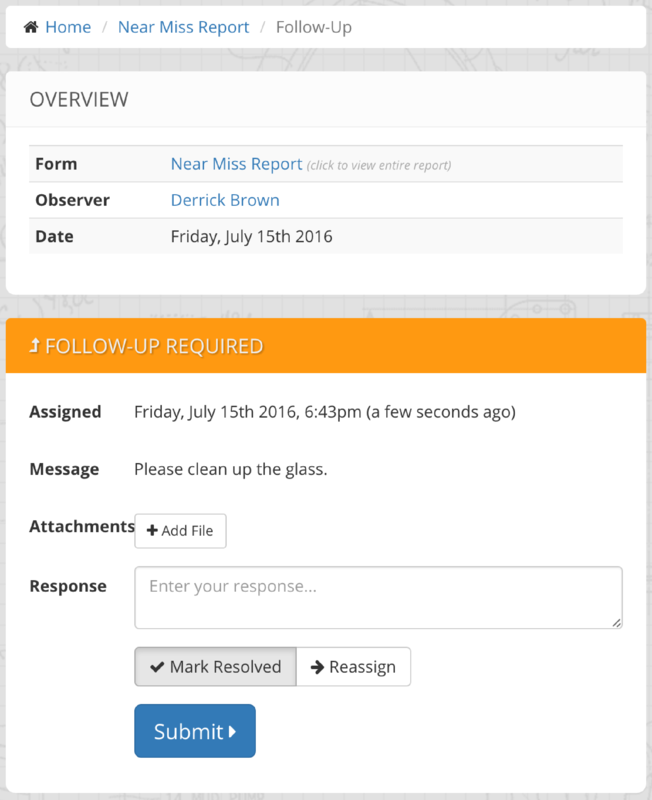 By default, each question within a Hazard Scout report allows the observer to assign a "follow-up". When a follow-up is assigned, it notifies the person and creates an open task for them. They are then able to close-out a follow-up or re-assign it. When filling out a report, you will see a circular button (called the "More" button) on the right side of each field. 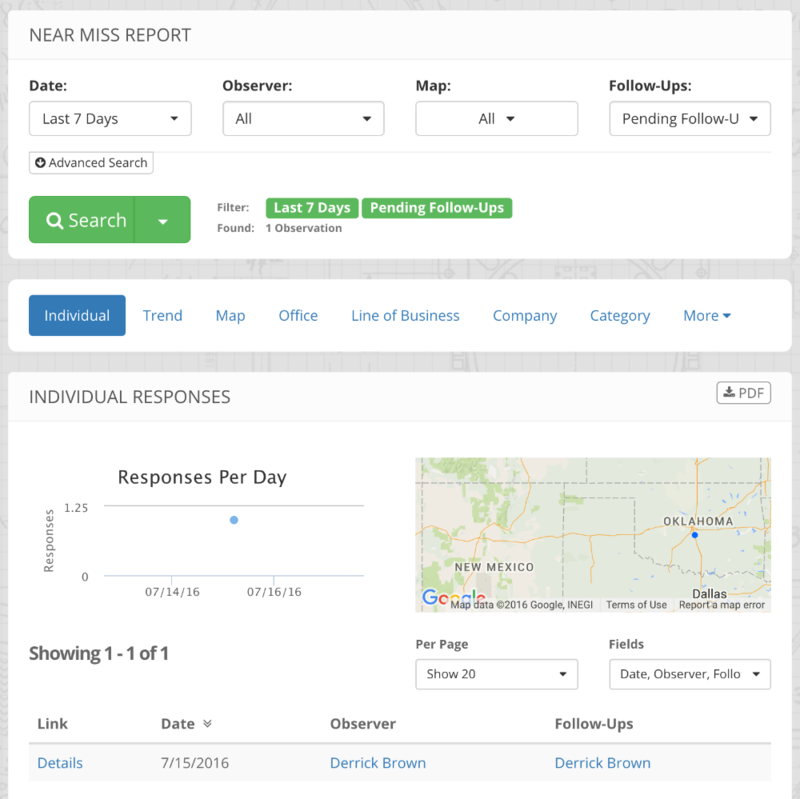 NOTE: The "More" button can be hidden on each field when building the report. Open the advanced settings on the field and check "Hide more button". Once a follow-up is created, it will automatically notify the employee (who it is assigned to) according to their notification settings (My Profile > Notification Settings). The follow-up can either be marked resolved or it can be re-assigned (forwarded) to another employee. There are fields for notes and attachments as well.